Hawaii-based Hilo Fish Company has recalled yellowfin tuna in May as it tested positive for the hepatitis A virus. 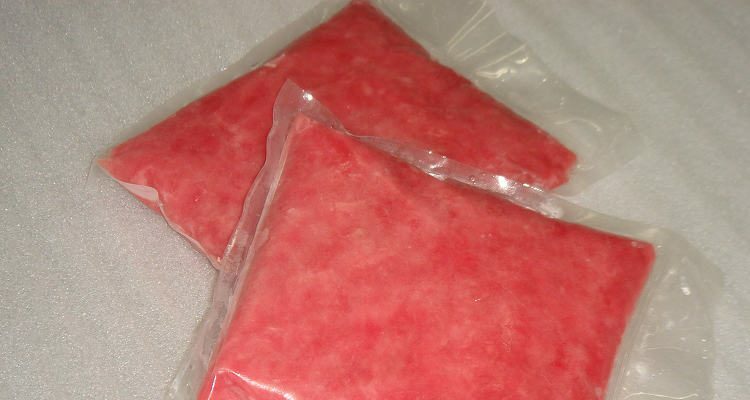 The recalled products include frozen tuna cubes and steaks. The fish was sourced from Santa Cruz Seafood Inc. in the Philippines and Sustainable Seafood Company in Vietnam. The products were distributed to restaurants in California, Texas, and Oklahoma, as well as a few retail locations. Hepatitis A is a contagious liver disease caused by the hepatitis A virus. It is a foodborne or waterborne illness that can be prevented by vaccination. It spreads through food or water contaminated by an infected person’s stool or handling of contaminated fruits, fish, or vegetables. To avoid being infected with hepatitis A, you should avoid consuming raw or undercooked shellfish from contaminated water. The hepatitis A diet should eliminate foods that make the liver work harder. The main function of the liver is to break down the fats in food. So, avoid fatty foods if you have symptoms of hepatitis A. Here is the list of hepatitis A foods to avoid. Iron-rich foods can damage the liver and should be avoided. You should avoid consuming dark leafy greens like spinach and dried fruits such as raisins and apricots. Also, be sure to avoid red meat, liver, iron-fortified cereals, beans, peas, and seafood. Vitamin A in large amounts is toxic to the liver, so avoid vitamin A-rich foods if you have hepatitis A. Avoid consuming liver, carrots, sweet potatoes, spinach, broccoli, kale, butter, eggs, and winter squash. Of all these vitamin A-rich foods, liver, carrots, and sweet potatoes have the highest content of vitamin A. Processed foods are nutrient-deficient and harder on the liver. Soft drinks contain artificial sweeteners such as saccharin, NutraSweet, or aspartame which affect the brain’s neurochemistry. Candy, chewing gum, low-fat milk, and infant formula milk contain monosodium glutamate (MSG) which is a flavoring agent. Processed meat products such as bacon, ham, corned beef, hot dogs, lunch meats, and sausage contain sodium nitrate and nitrite. On consuming alcohol, the liver produces acetaldehyde which can damage liver cells and cause permanent scarring. Regular consumption of alcohol causes inflammation of the liver which may develop into cirrhosis. A person infected with hepatitis A should avoid consuming hydrogenated oil. They should instead consume healthy oils in small amounts and avoid foods high in saturated fats or trans fats. Watch your sodium intake. Avoid store-bought sauces and canned foods as they are high in sodium. A balanced diet, avoiding hepatitis A foods, and hydration will help speed up the recovery process. “Hepatitis A,” Food Safety; https://www.foodsafety.gov/poisoning/causes/bacteriaviruses/hepatitisa/index.html, last accessed June 05, 2017. “Frozen tuna recalled after testing showed hepatitis A virus,” WIAT, June 4, 2017; http://wiat.com/2017/06/04/frozen-tuna-recalled-after-testing-showed-hepatitis-a-virus/.